CLOSEOUTS. 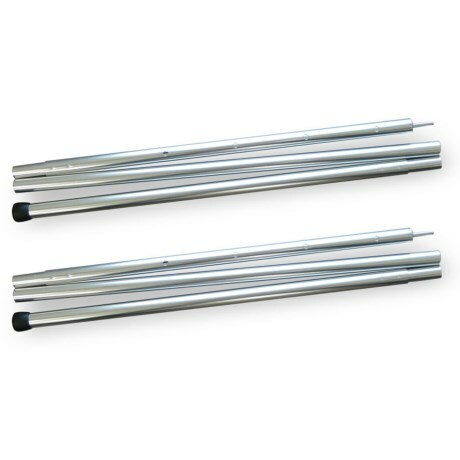 Complete with a collapsible four-section pole design, this Mountainsmith set of two aluminum adjustable tarp poles offers spring-lock pin height adjustments from 68-84and" tall. Available Colors: ALUMINUM.